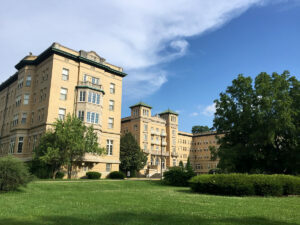 Le Fer Hall may look like a castle, but it is complete with the modern conveniences you need to live, learn and work at SMWC in Saint Mary of the Woods, Indiana. Housed in this 1924 old-world French renaissance structure are the basic comforts of home — air conditioning, hardwood floors, cable TV, desks, beds — plus amenities such as 24-hour computer lab, laundry facilities, student lounges and much more! 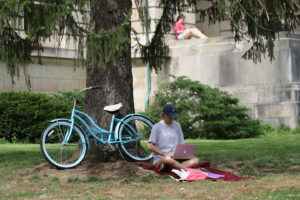 Immerse yourself in the full college experience. 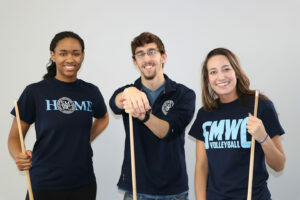 Students who live on campus at SMWC find it easier to engage in the campus community which often means better grades and a happier student. 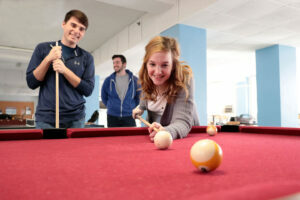 And, there is the convenience of walking to class, watching a movie on the large screen television in Sullivan Lounge, and having your friends close by when you need help with a class project. Freshman will be placed in double rooms. Please identify on housing application whether community or shared bath is preferred. Appliances/Electronics: TV, fan, mini-fridge (less than 3.6 cubic feet), laptop, coffee maker. Weather Preparedness (umbrella, winter coat, boots, robe) – Be prepared for Indiana weather! What is the best type of room? Every room in Le Fer Hall is unique and you will soon determine what your priority is in a room. 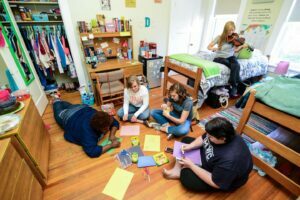 As a new student, you are placed into a room based on your housing/roommate preference form. 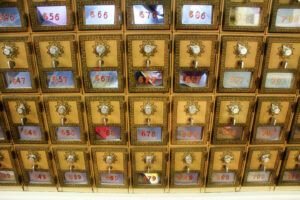 For the rest of your time at SMWC, you will enter a housing lottery to select your desired room. Can I bring these items? What do students often forget to bring? Can I mount / hang stuff on my walls? All posters and décor must be hung using command strips. You may hang curtains, but cannot install curtain rods unless you use the spring-loaded poles. 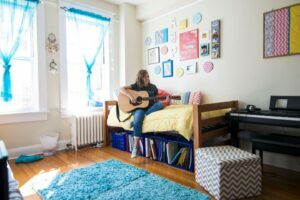 You should talk with your roommate to determine what each of you will bring so that you have enough space in your room for both of your belongings. This will prevent you from bringing doubles of items such as fridges or televisions. Any additional questions can be directed to Campus Life staff at CampusLife@smwc.edu. "Our room is big. I live in a balcony room so I have a full view of the school. In the winter, I get to see all of The Woods. But I think my favorite part of living in Le Fer is definitely getting to live with my best friend. It’s just nice to know that if you ever need anything, there are people who will gladly help you."